The former Money Order Post Office and Savings Bank was constructed in 1890 to relieve the overcrowded facilities at the nearby General Post Office. 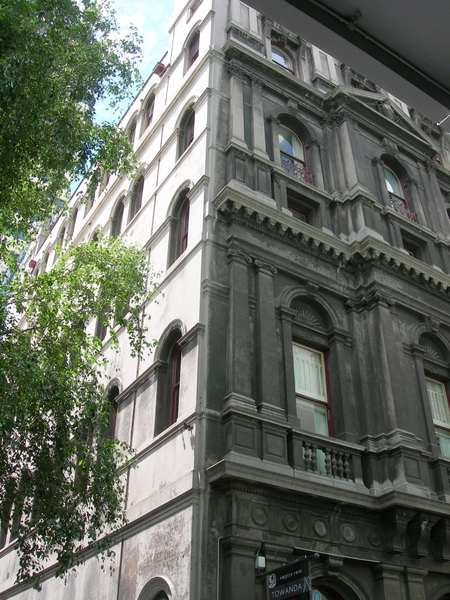 It is a six storey building designed by prominent Public Works Department architect Peter Kerr. 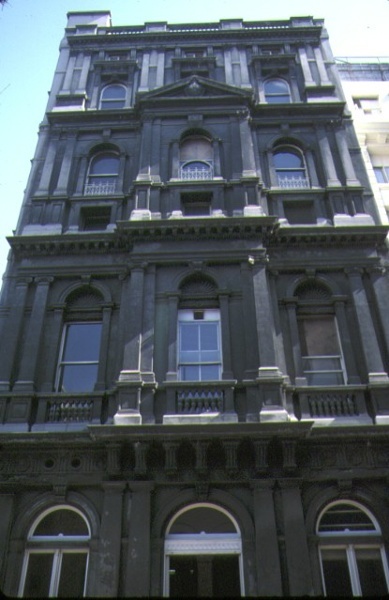 Other notable work by Kerr included the interior work for Parliament House and additions to the General Post Office in Elizabeth Street. Kerr’s son H.J. Kerr collaborated with him on the design, and the drawings bear his signature as draftsman. The former Money Order Post Office and Savings Bank was built by James H Sutherland at a cost of nearly nineteen thousand pounds. It functioned as the Money Order Office until c1917 when it was leased to various Commonwealth Government Departments, including the Federal Capital Director of Design and Construction. Between 1921 and 1932 it housed a war museum. In 1932 alterations were effected to provide offices for Federal parliamentarians. The parliamentarians moved out in 1970. The building is constructed of load-bearing brickwork, rendered to the main south facade and the west facade. The internal floors are supported by cast iron columns. The design utilised contemporary developments in fireproof construction, including encasing the iron columns in fireproof plaster. The floor system is massed concrete cast over vaulted corrugated iron forms on iron or steel joists carried by the columns. Lath and plaster ceilings are suspended beneath the iron formwork. Timber floors sit on top of the concrete. The hipped roofs are supported by a timber and wrought iron truss frame. The planning of the building is uncomplicated and "modern" in character with open-plan floors, grouped services at the rear, stairs and lifts at the front and rear and large repetitive windows along the east and west walls. The arcaded ground floor chamber is heavily embellished with plaster detail but the decorative scheme gradually reduces in detail on the upper floors. The former Money Order Post Office and Savings Bank originally incorporated a reticulated hot water heating system, a further innovation that dispensed with the need for fireplaces and chimneys. 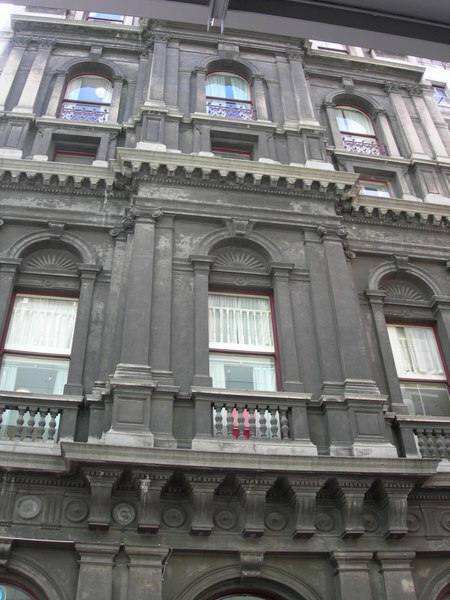 The conservative detailing of the facade is complementary to that of the nearby General Post Office which had been extended by Kerr the previous year. 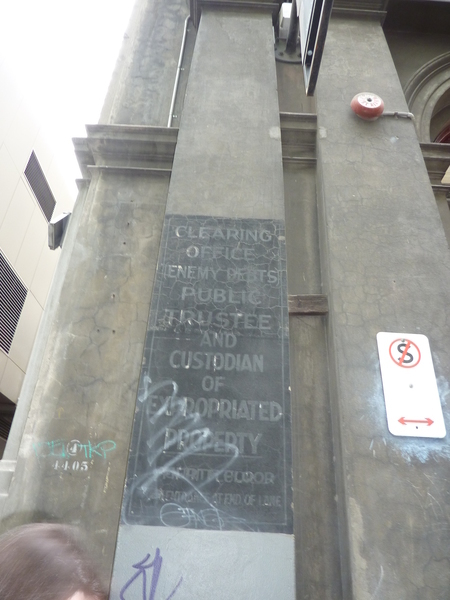 The former Money Order Post Office and Savings Bank is of architectural, technical, and historical significance to the State of Victoria. The former Money Order Post Office and Savings Bank is architecturally significant as the last major public work in the career of Public Work’s Department architect Peter Kerr. Kerr’s long and distinguished association with the Department spanned 35 years. At the time of designing the former Money Order Post Office and Savings Bank Kerr was an Architect Class 1 for the Department. 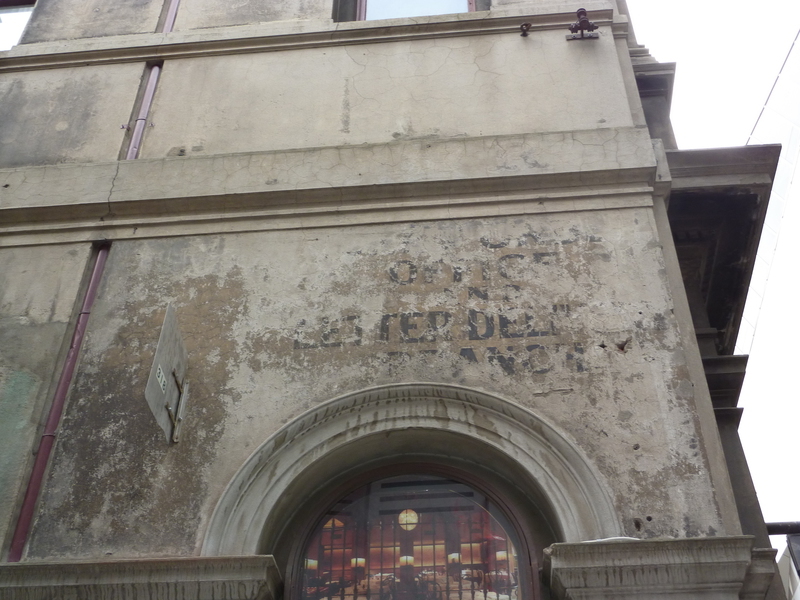 The former Money Order Post Office and Savings Bank is technically significant as an innovative building of the early 1890s, incorporating the latest developments in fireproof construction, reticulated heating and goods and passenger lifts. 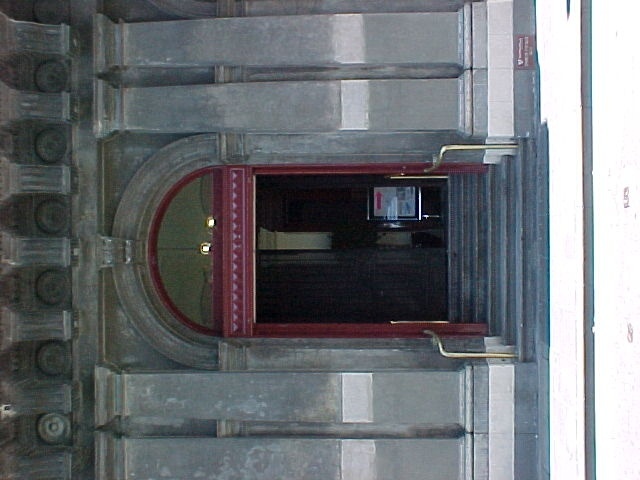 The former Money Order Post Office and Savings Bank is historically significant for associations with the development of postal services in Victoria. The building was constructed at the same time as alterations to the General Post Office to alleviate overcrowding and ever increasing demand. The former Money Order Post Office and Savings Bank was located close to the main building to facilitate ease of business between the two buildings. 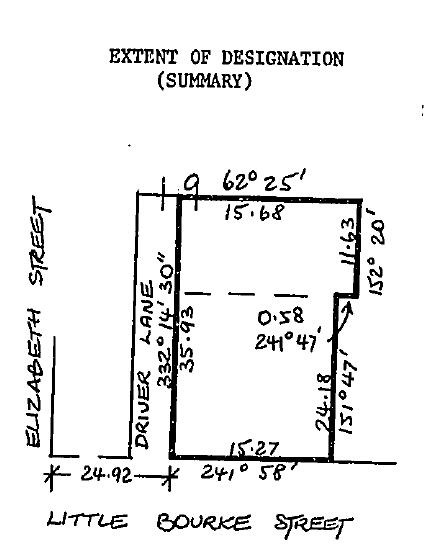 Historic Building No. 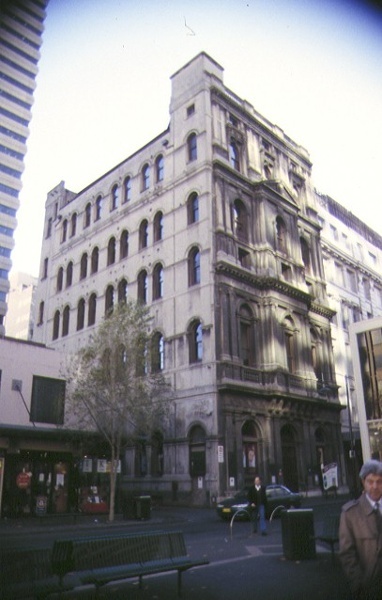 623 Former Money Order Post Office and Savings Bank, 318 Little Bourke Street, Melbourne (to the extent of the whole of the building and land entered in the Register Book as Volume 9310 Folio 934).